Leeds Bradford Airport Car Watch offer you great parking just a short distance from the airport terminal and offers superb value for money. What's more, pre-booking Leeds Bradford airport parking through HolidayExtras.com can save you up to 70 per cent on the standard gate price. An old favourite car park triumphantly returns with a new twist! 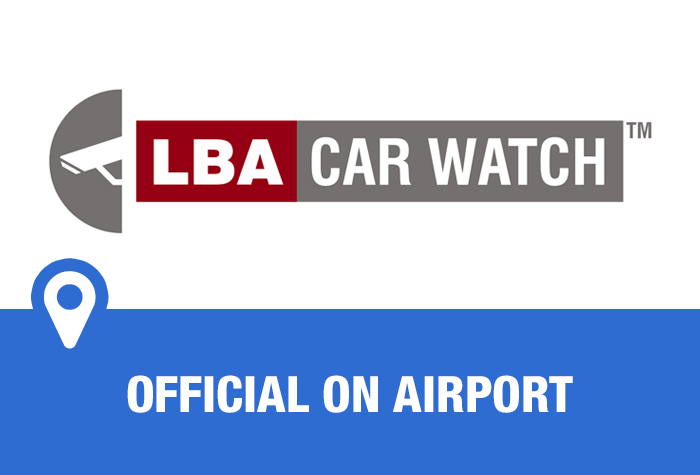 LBA Car Watch is back! Our customers loved LBA Car Watch until it closed down last year. Now, LBA airport themselves have revived this beloved parking service in an even-better location. It's now one of the closest car parks to the terminal. Just drive to the car park, park, keep your keys and hop on the super-speedy transfer bus. It delivers you to a spot right outside the terminal in 4 minutes! As you arrive at the car park, drive up to the entrance barrier, your registration will be recognised and the barrier will lift to let you in. Drive in and park in a space, then just head over to the bus stop and hop on the transfer bus. It runs on request, takes 4 minutes and is included in the price. You also get to keep your keys with you, so you know your car will be exactly where you left it on your way back. While youre away, your car will stay exactly as you left it, in LBA Car Watchs award-winning secured car park, with regular patrols, CCTV, entry and exit barriers, a fence and floodlighting at night. You know your car is in good hands here! When you get back, catch the transfer bus to the car park. Youll find your car where you left it, hop in and drive to the exit barrier. Put your ticket in the slot to get out and youre free to hit the road and get home. For fast 4-minute transfers at a secured, airport-owned car park, then book LBA Car Watch with us today and youre guaranteed the best price around. There is no height limit, but there is a width restriction of 2.5 metres. Skis, bikes, surfboards, canoes and other large objects that won't fit into the luggage racks can't be carried on the transfer buses. Every bus shelter contains an intercom connecting you to 24-hour operator assistance, just in case you need it. Hop on the free shuttle bus that runs to and from the terminal 24 hours a day. It takes just 4 minutes, or you can walk to the terminal if you prefer. When you get back, catch the shuttle bus where it dropped you off on your outward journey. Every bus shelter contains an intercom connecting you to 24-hour operator assistance, just in case you need it. Head to your car and then drive to the exit barrier. You'll need to insert the ticket and the barrier will lift. Really simple.Just drove up to barriers and they opened without having to do anything.Parked close to bus stop and shuttle bus was there within minutes.Same on way home. Car registration not recognised. Had to pay full rate to airport to be released. No. We had to be diverted to Newcastle and had to wait hours for a taxi to get us back to Leeds/Bradford airport which was traumatic to say the least., only to find we had to pay another £5.00 parking fee has we were over 6 hrs late. I think this fee should be refunded. Our customers rated Leeds Bradford LBA Car Watch on average 9/10 (534 reviews). Read Leeds Bradford LBA Car Watch reviews.